so, I felt super lame about halloween this year. greg and I really wanted to do a couple's costume, but with him getting a cold, us trying to save our pennies for stuff, and me desperately trying to find a costume that didn't involve him shaving his glorious beard (oh, how I love it so) it resulted in ziiiiilch. but when you're running a costume contest at work, you kinda have to dress up. 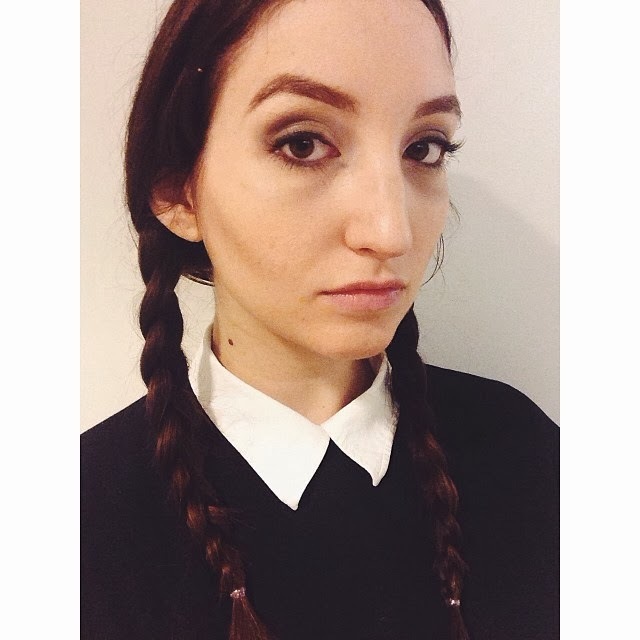 so I busted out my good ole black dress and white button down and did my best wednesday addams sulk. because she's cooler than I'll ever be. we spent our halloween eating sushi at moki, watching all the trick-or-treaters go from shop to shop on cortland avenue. then we made cookies and watched a documentary on people who make haunted houses.